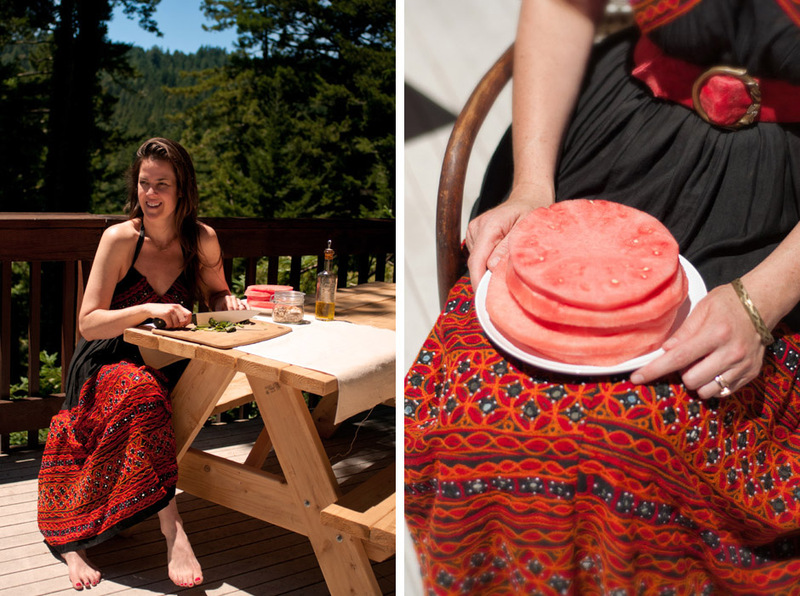 Nothing says summer like watermelon! Slice watermelon into approx 1 inch rings, then remove the rind from each slice with a small knife. Place one watermelon “round” onto each salad plate, then top with a layer of thinly sliced fresh mozzarella (5 pieces? ), followed by a layer of finely chopped mint, basil (approx ¼ c each) and a sprinkling of nuts (I used almonds and walnuts, but you can use any kind). Drizzle with a bit of olive oil and sea salt before serving. Enjoy with a fork and knife- a light yet filling salad!